Applied sport psychology is (a) the study of the psychological and mental factors that influence and are influenced by participation and performance in sport, exercise, and physical activity, and (b) the application of the knowledge gained through this study to everyday settings. Applied sport psychology professionals are interested in how participation in sport, exercise, and physical activity may enhance personal development and well-being throughout the life span. Why do people contact an applied sport psychology professional? To improve performance. This is the most common reason for consulting an applied sport pyschology professional. In general, performance may be enhanced through the teaching of mental strategies that either refine the practices of effective performers or help ineffective performers overcome obstacles that prevent them from reaching their potential. To overcome the pressures of competition. Athletes at all levels seek help in dealing with the pressures of competition. Such pressures may stem from parental and/or coach expectations as well as the athlete’s own expectations regarding performance. To enhance the experience of youth sport participants. Youth sport organizations may employ an applied sport psychology professional to educate coaches and parents about how to increase the satisfaction and enjoyment of participants and about the coaches’ and parents’ role in promoting the development of healthy self-esteem. To provide psychological assistance with injury rehabilitation. Individuals who have suffered from injuries may request assistance with adjusting to nonparticipant status, adhering to physical therapy, tolerating pain, or other issues. To develop exercise motivation programs. Individuals, corporations, and other groups that are interested in maintaining health (or losing weight) often need assistance in developing and implementing exercise motivational programs. What services can an applied sport psychology professional provide? providing information about the role of psychological factors in sport, exercise, and physical activity to individuals, groups, and organizations. They may, for example, assist with exercise adherence, communication, teamwork, or program development and evaluation. teaching participants specific mental, behavioral, psychosocial, and emotional control skills for sport, exercise, and physical activity contexts. They might, for example, focus on relaxation, concentration, or the use of imagery. Applied sport psychology professionals who have special training and/or certification in such areas as coaching, diagnosis and treatment of psychopathology, marital or family therapy, or the administration and interpretation of psychological tests, may provide additional services. What roles may applied sport psychology professionals assume? Applied sport psychology professionals may be trained primarily in the sport sciences with additional training in counseling or clinical psychology, or they may be trained primarily in psychology with supplemental training in the sport sciences. The activities of a particular applied sport psychology professional will vary based on the practitioner’s specific interests and training. Some may focus primarily on conducting research and on educating others about applied sport psychology. Typically, these individuals teach at colleges and universities and, in some cases, also work with athletes, coaches, or athletic administrators. They provide education as well as develop and implement programs designed to maximize the overall well-being of sport, exercise, and physical activity participants. Other professionals may focus primarily on applying applied sport psychology knowledge. These individuals are typically more interested in the enhancement of sport, exercise, and physical activity performance or enjoyment. They may consult with a broader range of clients and may serve in an educational or counseling role. 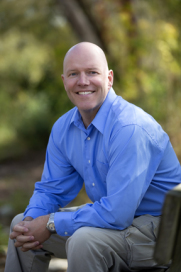 Who is considered a “qualified” applied sport psychology consultant? Only those individuals with specialized training and, with certain limited exceptions, only those with appropriate certification and/or licensure may call themselves an applied sport psychologist. Anyone seeking the services of an applied sport psychology professional should ask about the professional’s credentials, clientele, experience, and membership in professional organizations such as the Association for the Advancement of Applied Sport Psychology (AAASP) and/or the American Psychological Association (APA). A growing number of applied sport psychology professionals are certified by the AAASP. These professionals-who earn the designation Certified Consultant, AAASP (or CC, AAASP)-have met a minimum standard of education and training in the sport sciences and in psychology. They have also undergone an extensive review process. The AAASP certification process encourages applied sport psychology professionals who complete it to maintain high standards of professional conduct while giving service to others. Certification, however, does not guarantee competency. Some applied sport psychology professionals may be listed on the U.S. Olympic Committee (USOC) Sport Psychology Registry, meaning that they are approved to work with Olympic athletes and national teams. To be on the Registry, a professional must be a CC, AAASP and a member of the APA. Conferral of the title “Certified Consultant, Association for the Advancement of Applied Sport Psychology,(CC, AAASP)” represents recognition by the Association of attainment of a professional level of knowledge of the subdisciplines of applied sport psychology: health/exercise psychology, intervention/performance enhancement, and social psychology. The application of this knowledge is viewed primarily as an educational enterprise involving the communication of principles of sport psychology to participants in sports training and competition, exercise, and physical activity. The focus of the work in this specialty area is on the development and understanding of cognitive, behavioral, and affective skills in participants of all ages and at all skill levels. Assessment procedures and interventions utilized are specified in operational terms and evaluated as objectively as possible. Providing information relevant to the role of psychological factors in exercise, physical activity and sport to individuals, groups, and organizations. Teaching participants specific cognitive, behavioral, psycho-social, and affective skills for application in exercise, physical activity, and sport contexts. Such instruction or intervention could focus, for example, on relaxation, concentration, imagery, or moral reasoning. Within exercise, physical activity and sport settings, helping participants understand, measure, and improve relevant psychological factors, such as arousal, anxiety, audience effects, and coping skills. Educating organizations and groups in areas such as improvement of adherence or exercise regimens, communication, team cohesion, and program development and evaluation. Treatment of psychopathology (including, for example, affective disorder or personality disorders). Use of commercially available psychological tests that are restricted in their distribution to licensed medical health professionals. 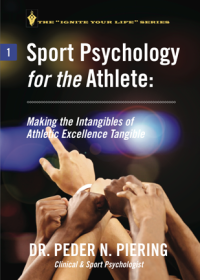 This handbook was written specifically for you, the athlete, and since the principles of human performance are common to all athletes, this handbook truly applies to athletes from any background, at any level of play, competing in any sport. I have tried to capture the most important theories, techniques, and interventions of contemporary sport psychology. These are the very same theories, techniques and interventions I have used countless times with thousands of athletes in my own practice.